Volunteers from a leading Glasgow charity will be kicking off the football season on wheels in an effort to raise money for the battle against bigotry. The trio will be cycling to raise money for Nil by Mouth’s ‘Champions for Change’ schools programme which brings pupils from different religious and cultural traditions together for a series of workshops, events and sporting activities aimed at helping them halt hatred, build bridges and celebrate community. To mark the first day of the new SPFL Season on the 6th August 2016 the Nil by Mouth team will don their helmets and cycle across a specially designed route taking in some of Glasgow’s most famous teams and grounds including Firhill, Ibrox, Cathkin Park, Hampden, Celtic Park and Broadwood. They aim to raise £1,000 to support the charity’s nationwide schools programme which during 2015/16 was delivered, free of charge, to more than 7,000 pupils in over 100 schools across Scotland. 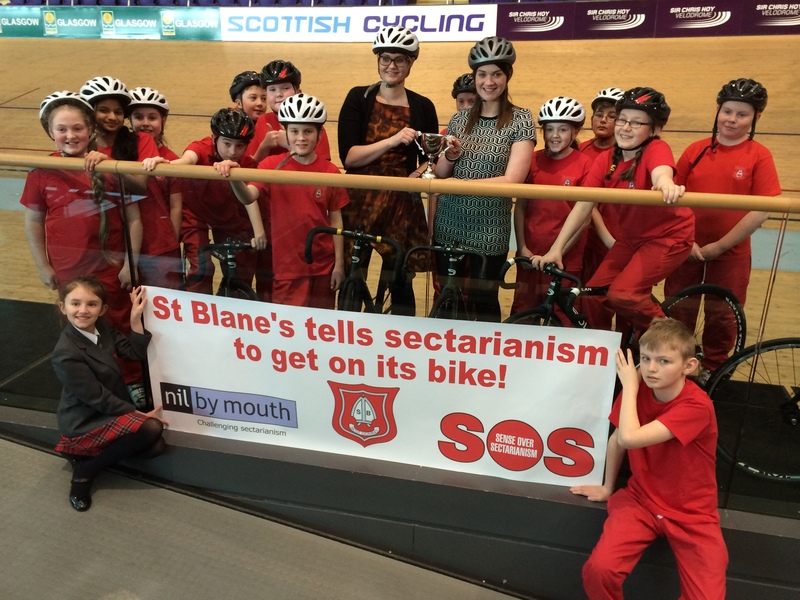 Last year Nil by Mouth launched its hugely successful ‘Kiss Bigotry Goodbye’ campaign which seeks to promote the positive face of Scottish football through a range of events with football clubs, fan groups and local schools. Now the charity is hoping that the Scottish public will get behind the cycle and dig deep to help even more pupils join in the fun.